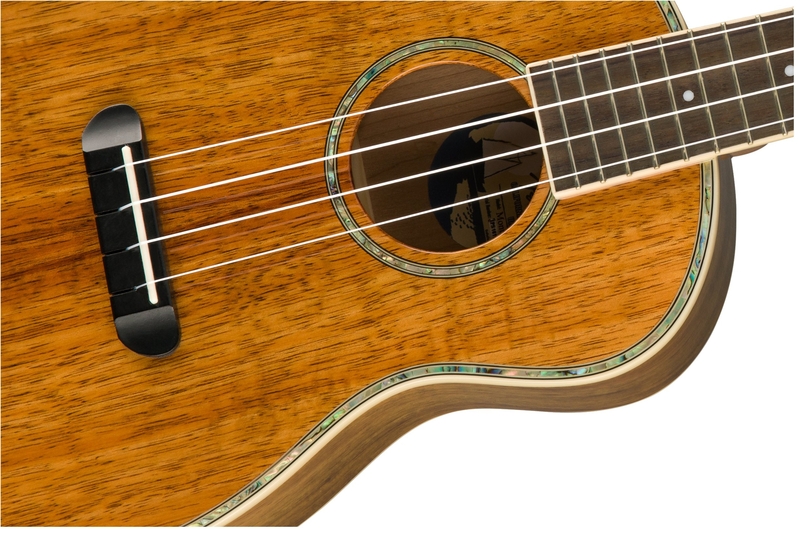 Inspired by the California home of many celebrities, this ukulele's screen-ready looks and headline grabbing features could only have one name—the Montecito Ukulele. 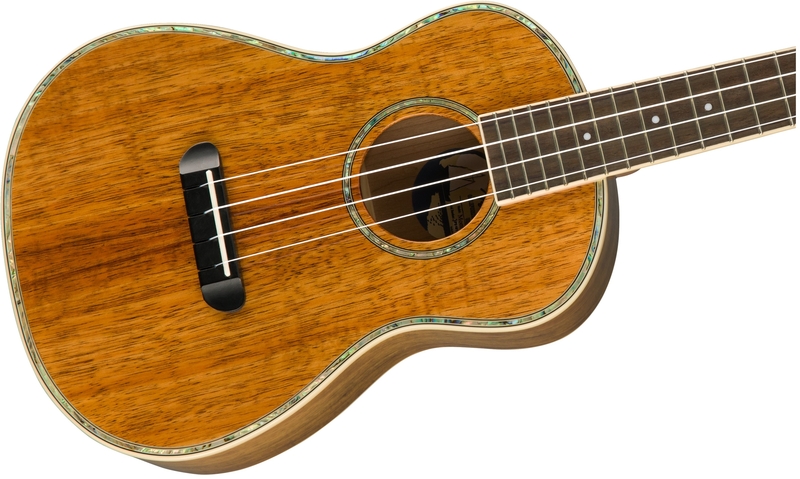 Constructed completely from koa, this tenor-sized uke has a rich, sonorous tone, that matches its sumptuously elegant aesthetic. 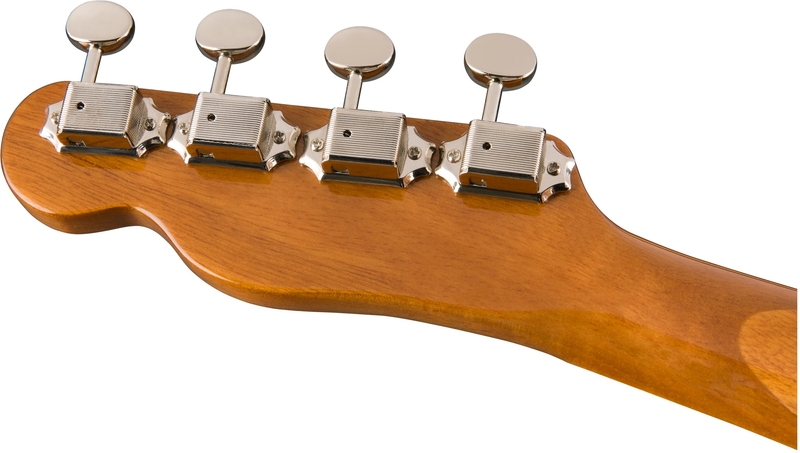 The solid top provides enhanced resonance and sustain, along with incredible warmth and well-balanced projection. The Montecito's koa body is complemented by blue-green abalone top binding and a bound back and fingerboard for a refined look. 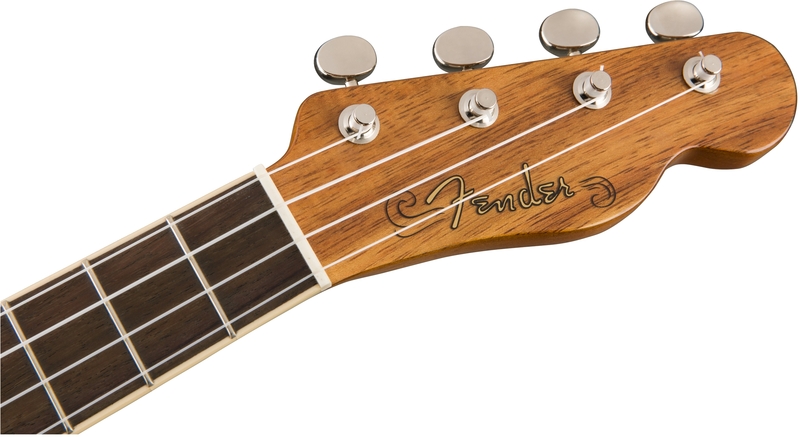 Other features include a no-tie bridge for quick, easy string changes, a bone nut and saddle for superior intonation, an abalone rosette, vintage-style closed-back tuning machines and a 4-in-line Tele® headstock for that unmistakably classic Fender look.